It’s that time of year when most large corporations are planning, budgeting and preparing for next year’s financial wins. Budgeting is a deep dive look at how a company plans to achieve its goals. As an entrepreneur, you don’t have to be a large corporation to reap the rewards and benefits of budgeting. The process doesn’t have to be long and tedious. You just need to get clear about the goals of your business and the strategies you’ll employ to achieve them. 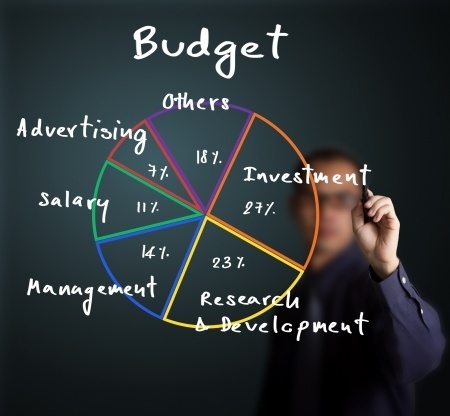 Below are a few key ways budgeting can grow your business. With a budget, you make decisions based on the financial goals of the business instead of reacting to the circumstance, challenge or bright shiny object of the day. Before a decision is made, first ask whether it will support the overall goals of your business. A budget keeps you focused on the result you desire. In other words, it’s a roadmap that directs and guides your business’ daily activities. If you ever find yourself wondering what you should do this month to grow your business, that’s a sign that you need to create a budget and plan. After you’ve created your budget, set a date and time each month that you’ll stop and review the financial performance of your business. This process will allow you to make adjustments in your strategic plan and ensure you stay on track to achieve your business goals.